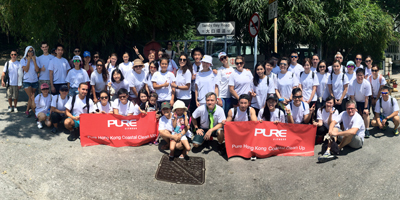 57 volunteers joined our Fourth Pure HK Cleanup at Sandy Bay on 17 September 2016. Divided into 8 groups, the Pure Team collected over 200kgs of trash, including helmet, bicycle handlebar and seat, bucket of used oil, gas tank, construction beams, traffic cone, furniture, beverage bottles, foam pieces, shoes and flip-flops. After 2 hours of non-stop work, we quenched our thirst and satisfied our hunger with healthy-licious nood food items. 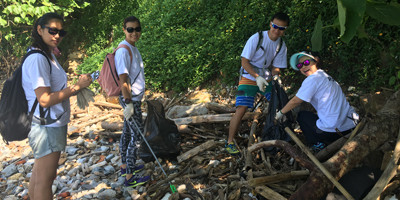 We would like to say a big thank you to everyone involved and we hope to see you again next year.HK Cleanup 2016 runs until 1 December and you can still be a part of this Challenge.